Head of UN atomic watchdog says the failure of the 2015 deal between Iran and world powers would be a "great loss". The failure of the 2015 deal between Iran and world powers to restrict Tehran's nuclear program would be a "great loss", the head of the UN's atomic watchdog said Monday, according to AFP. International Atomic Energy Agency (IAEA) director general Yukiya Amano said that, as of today, Iran was "implementing its nuclear-related commitments" under the deal. 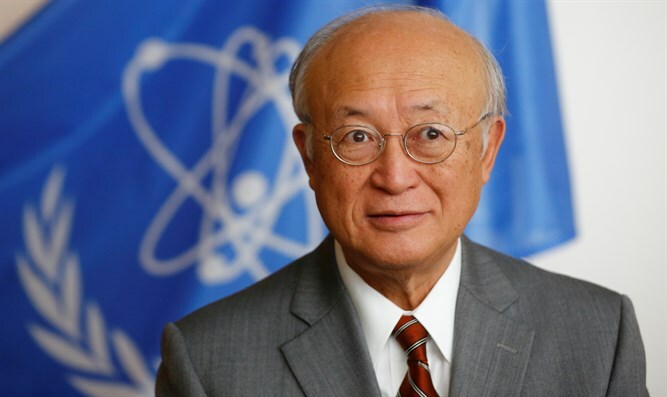 In a speech opening a meeting of the IAEA's board of governors, Amano said the deal "represents a significant gain for verification" and that if it "were to fail, it would be a great loss for nuclear verification and for multilateralism." The 2015 deal lifted economic sanctions in exchange for Tehran limiting its nuclear program. It was signed by the United States, China, France, Russia, Britain, Germany and the European Union. U.S. President Donald Trump, however, is against the deal signed by his predecessor, Barack Obama, and has been one of its most vocal critics. While Trump recently decided to extend a waiver on nuclear sanctions that were imposed on Iran, he said it would be the last time he will do so and ordered European allies and Congress to work with him to fix “the disastrous flaws” in the 2015 deal within 120 days, or Washington would withdraw. An IAEA report released last month showed that Iran was continuing to abide by the deal's key measures. Amano said inspectors had had "access to all the sites and locations which we needed to visit", according to AFP. He added that the agency had requested "further clarifications" over notification Iran gave the agency in January that it intended to construct "naval nuclear propulsion" at some point in the future. Iran has in the past threatened to reconsider its cooperation with the IAEA if the United States failed to respect its commitments in the 2015 deal.